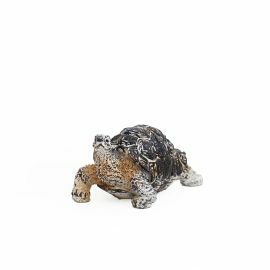 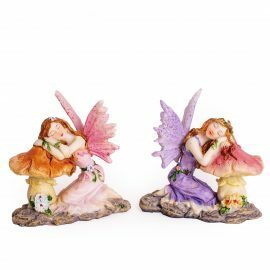 Size 10cm high – 8cm wide – 5cm deep. 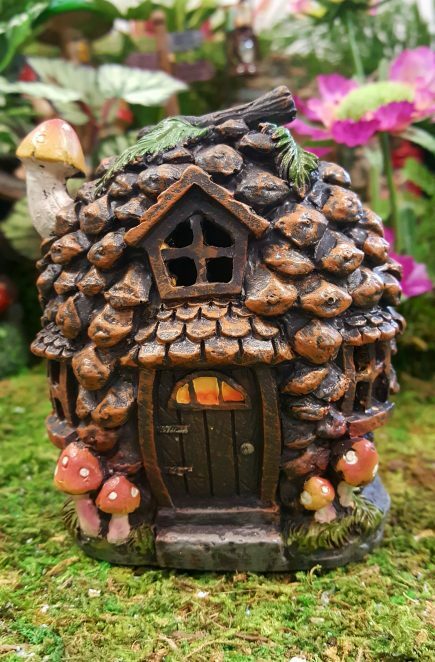 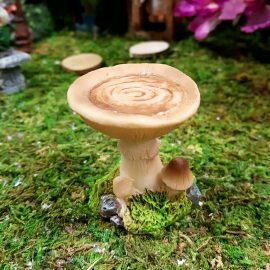 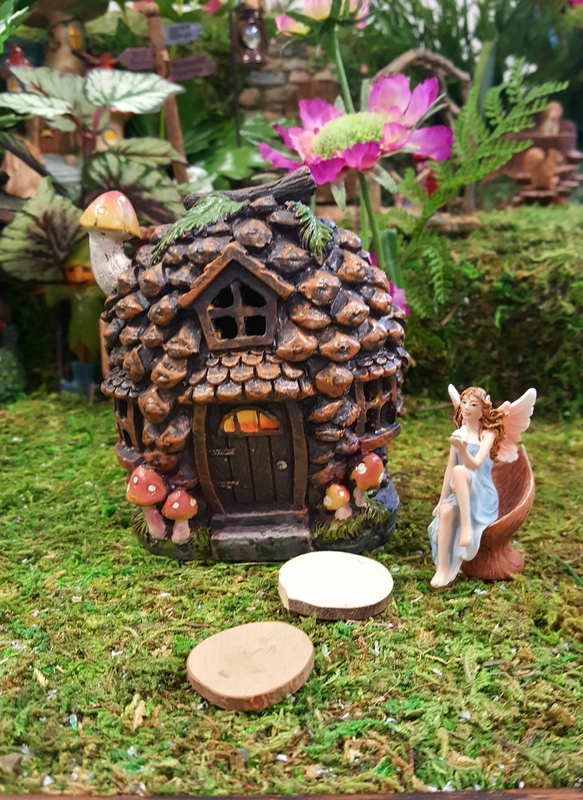 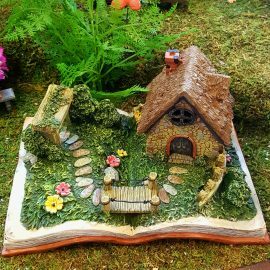 This cute Pine house has 3 windows,a wood effect door and a Toadstool chinmey. There are toadstool beside the front door.